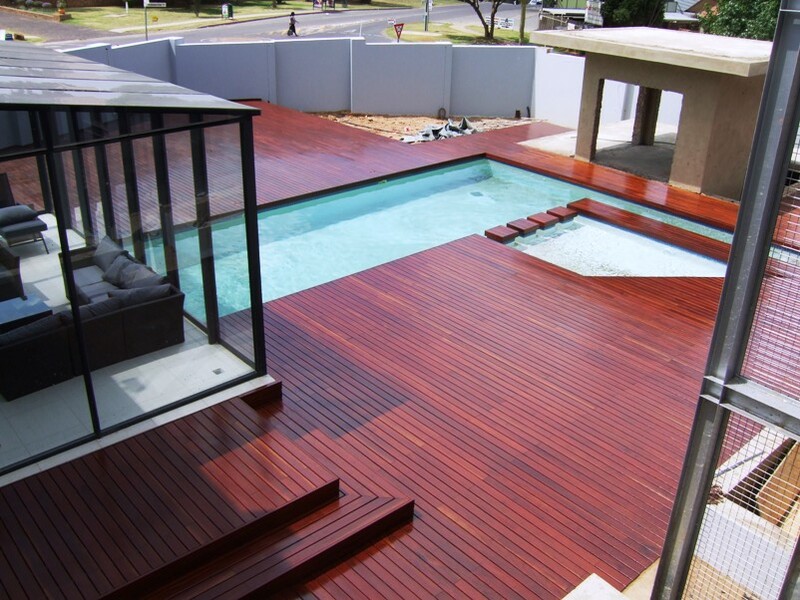 Timbermann will build a deck for you from whatever timber takes your fancy or suits your needs. 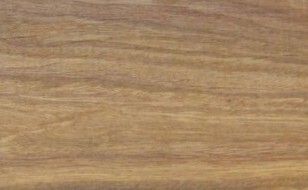 ABOVE - These exceptionally hard timbers with their stunning grain patterns in either a yellow/brown (Grey Ironbark) or deep red/brown of the Red Ironbark, are known for their natural resistance to rot and insect attack - making them ideal candidates for construction of items exposed to the elements. Typically Ironbark is used in the construction of road and railway bridges, wharfs, mining applications and for railways sleepers due to its proven record for long-term performance in weather-exposed structural applications. Furthermore, we source these timbers locally. 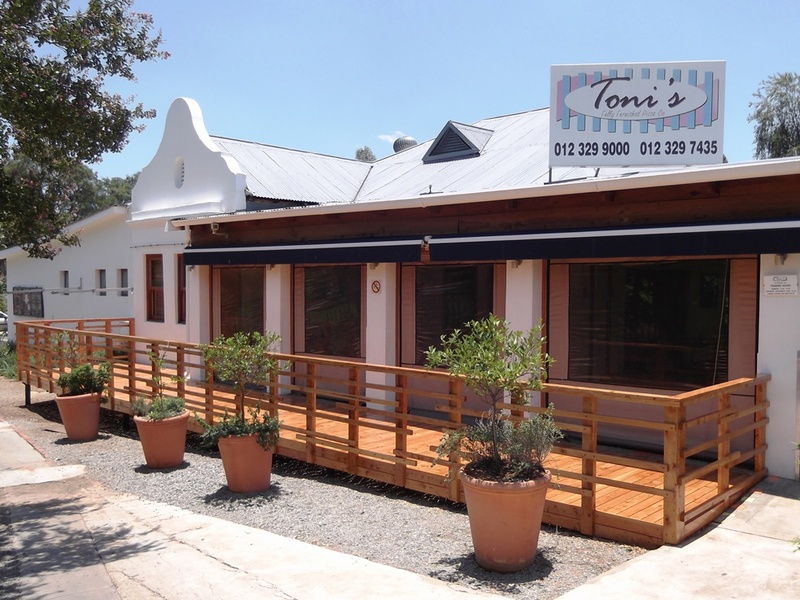 This means that supply is more readily available than most of the imported timbers. 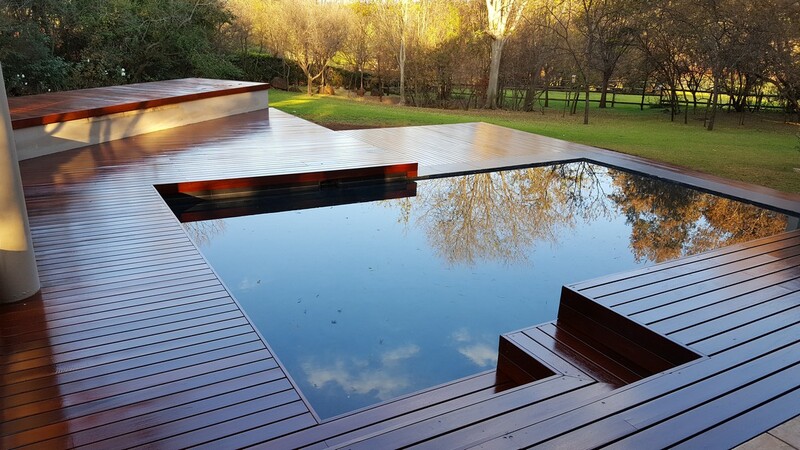 It also means that we get this spectacular timber at a reasonable price and that the cost is not affected by fluctuating rand/dollar exchange rates. 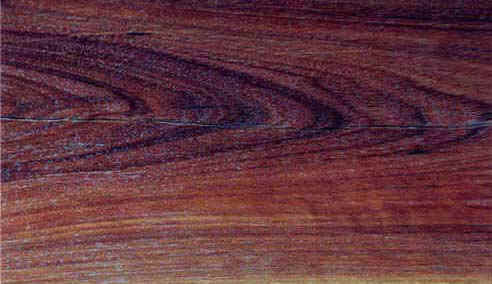 ZAMBIAN TEAK - as mentioned on the HOME page, is a far superior product compared to the typical Zimbabwean (Rhodesian) Teak. 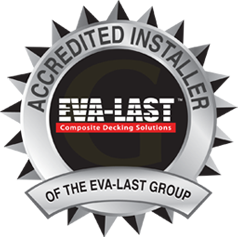 Once skilfully kilned and carefully milled, the product then undergoes a pressure penetrative treatment process with chemicals which make it resistant to insect attack. Pressure treatment is important as it forces the chemical to saturate the timber throughout - so it does not wear out or fade away.